When it comes to fall, Thanksgiving and Christmas, I have a favorite dessert. 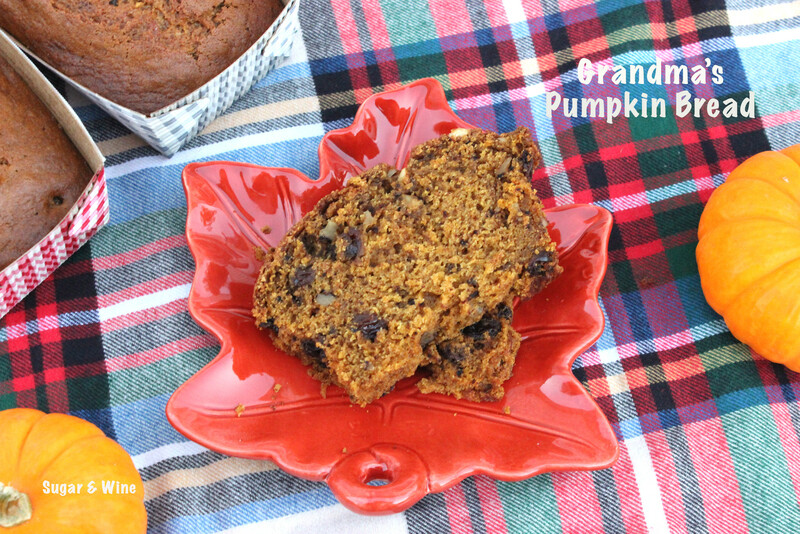 Now, I love pumpkin pie, but by far, my favorite dessert is pumpkin bread. For as long as I can remember, my Grandma has made the most delicious, moist, and addictive pumpkin bread. Every opportunity I had I was in the kitchen helping my grandma as often as I could. Now, here’s the problem: my grandma wrote down the recipe for me to take over the annual pumpkin bread baking project (yes, its a project–we aren’t talking one loaf here)—and she can’t remember all of it. I made the recipe she gave me and it was not it—at all. I tried again and got close but gave up last year. With the weather getting cooler, the pumpkin bread cravings have started. So, I went on a quest to figure out the missing spices that made my grandmother’s pumpkin bread so incredibly addictive. After six loaves of bread, I have it and I’m sharing it with you. I have to warn you though, prepare to eat large quantities of this bread. Let’s be real here: if you don’t take it to a party or a family gathering, you are probably going to eat the whole thing and your pants may or may not fit. Make this bread and share it. Or eat it all yourself. No judgment! Pre-heat oven to 350 degrees. Spray two bread pans and set aside. In a large mixing bowl, blend together the first five ingredients. Mix ingredients on medium speed for one minute. Add the baking soda, spices and half of the flour, mix until all ingredients are incorporated. Add the remaining flour and mix for one minute. Scrape the sides to make sure all of the ingredients are mixed in. Add in raisins and walnuts and mix again. Pour half of the mixture into each bread pan. Place the pans on the medium rack and bake for 60-75 minutes or until the toothpick comes out clean. Let it completely cool before serving.